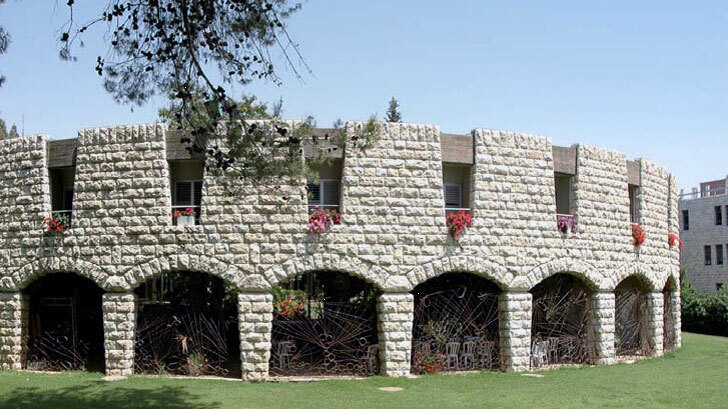 Beyt Belgia (Belgium House), "Safra" Campus Hebrew University of Jerusalem, Jerusalem, Israel. Registration will be open on 15.1.2017. Payment should be accepted in American dollars only. We apologize for the inconvenience. a half-day excursion to the old city of Jerusalem, (to be held on Tuesday 6th June). Some support (primarily for students and postdocs) may be available. The cost for BB is 400 NIS for single and 500 NIS for couple (1 Euro is ~ 4.25 NIS) The Belgium house has limited room availability, so it is recommended to book early by informing Prof. Israel Felner. There is also the option of sharing rooms (up to 2 persons/room), such requests should be made at the time of booking. Special rates (including al taxes) for the MECAME2017 attendances are available at the cost of 110 $ for single room and 125 $ for double room (1 $ is ~ 3.85 NIS). Participants are recommended to register directly to the hotel. The hotel is ~ 200m easy walk to the conference venue. While we do not have special rates with other hotels in Jerusalem, it is certainly possible to contact them directly and book rooms. We recommend the 5* hotels: (i) Ramada Jerusalem hotel and (ii) Prima Park Hotel (located in Zeev Vilnay street) which are 200-250 m easy walk from the conference venue. Nearby (within 100 meters) there is the Rabin youth hostel which can accommodate up to 4 persons in a room. Reception – Sunday 4.6 at 19:30, to be held at the conference venue. The conference dinner – Monday 5.6.2016 at 19:30 at the conference venue. Should you require a vegetarian menu please let us know as soon as possible. A half day guided tour (after lunch) of the old city of Jerusalem – 6.6.2016, which will include Christian, and Jewish Sites, such as: Mount Scopus, Golgotha and The Church of The Holy Sepulcher, the Last Supper Room, Via-Delarosa, the Jewish quarter, the Western Wall tunnels, and the City of David. An optional tour for accompanying persons Wednesday 7.8.2016, to the cities of Caesarea (The cost 30-50 euro depends on the number of participants). An optional tour (Thursday June 8th) to the Jordan River attractions, Masada with a short swim in the Dead Sea. (The cost 30-50 euro depends on the number of participants). In case you would like to arrive to Israel earlier, or stay later, please feel free to contact the local organizers for assistance and/or recommendations for your stay.